Robert F. Henkle, MD, age 87, formerly of North Milwaukee Street, Port Washington, WI died unexpectedly Monday, December 14, 2015 at his residence at Newcastle Place in Mequon. Bob was born on June 27, 1928 in Des Moines, IA, son of Kenneth and Pauline Fenton Henkle. On December 28, 1951, Bob married Marjorie L. “Marge” Quinn of Des Moines in Iowa City, IA. From June 1953 until June 1956, Bob served in the US Air Force, discharged with the rank of Captain. After a few years based in various states between his medical training and his military service, the Henkles settled in Port Washington. Most residents were familiar with his clinic on West Monroe Street. He retired from practice in 1991. 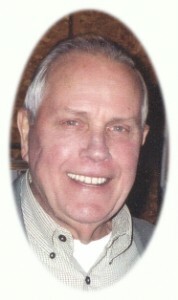 Bob was a founding member and faithful leader of St. Simon the Fisherman Episcopal Church in Port Washington. He enjoyed a lifelong love of music and singing. He and his wife loved to share music with family and friends. Their home was filled with music and song for family and holiday gatherings. Bob was a barbershopper, sang with the St. Mary’s Church Choir and Newcastle Place. He had been on the board of directors of the Cedar Campus in Wet Bend for over ten years. Bob was an active volunteer with the Meals On Wheels Program, Interfaith Caregivers and the Port Washington Food Pantry. He enjoyed playing and watching golf and sprucing up the yard. Bob and his wife Marge enjoyed playing Bridge and Sheepshead. Marge preceded him in death on November 11, 2013. He and the boys continued to play Poker when they could. He is survived by his six children, Kathryn “Kathy” (Bill) Mulligan, MD of Shererville, IN, Joseph “Joe” (the late Gloria) Henkle of Springfield, IL, Robert “Bob” Henkle of Port Washington, William “Bill” (Mary) Henkle of Port Washington, Patricia “Patti” (Tony) Depies of Sturgeon Bay and Daniel “Dan” (Steve Kawa-Henkle) Henkle-Kawa of San Francisco; 18 grandchildren Caitlin (Steve) Newark, Quinn Mulligan, Ben, Sarah and Laura Henkle, Bobby, Talia, Tricia and Amanda Henkle, Lauren, Annie, Joe and Carolyn Henkle, Patrick, Alex and Monica Depies and Katherine and Michael Henkle-Kawa; two sisters Marilyn (the late Paul) Gorham of Indianola, IN and Jane (the late Tom) Crane of Springfield, VA; sister-in-law Mary Jane (the late Patrick) Ryan of Kettering, OH, nieces, nephews, other relatives and friends. Celebration of Life Services will be held at 11 AM Wednesday, December 23, 2015 at St. Mary’s Catholic Church, 430 N. Johnson Street, Port Washington. Reverend Julian V. Hills of St. Simon the Fisherman Episcopal Church, Port Washington will preside. He will be interred at St. Mary’s Cemetery in Port Washington. Visitation will be from 3-6PM Tuesday, December 22 at the POOLE FUNERAL HOME, 203 N. Wisconsin Street, Port Washington and from 10-11AM Wednesday at St. Mary’s Church prior to service. Memorials to St. Simon Church, 3448 N Green Bay Rd., Port Washington, Interfaith Caregivers, 885 Badger Circle, Grafton or the Port Washington Food Pantry, 1800 N. Wisconsin Street, Port Washington appreciated. Previous Post: Knepprath, Clarence E.
Next Post: Glander, Erhard J. Only good memories of our family doctor way back when. Barb and I would like to extend our deepest of sympathy to the entire Henkle Family. I am sorry we will not be able to express our condolences in person. Today in Florida we had a similar Celebration of Life for Barb’s mother who passed away earlier this year. I agree with several of the comments regarding the professionalism Dr Henkle demonstrated. I remember him helping get me back on the PWHS football field after reassuring me my wrist was not broken. The Maechtle and Henkle Family have shared celebrations of birthdays and graduations. Unfortunately in the past six years we have also experienced these difficult moments we call a Celebrations of Life. Today I told our Family to take comfort in the fact that Missing Moments Make Marvelous Memories. May God Bless all of you and provide you with the necessary strength as you work through this difficult chapter in life. The Port Washington Garden Club extends its condolences to the Henkle family and our appreciation to Bob and Marge for twice sharing the beauty and grace of their lovely garden with the community. Please know my deepest and heartfelt sorrow at the passing of your Dad. It brings me to tears now typing this. He delivered me, took out my tonsils and was my DR all the way through college. Not because he was a DR – yes, he was ONE OF A KIND and amazing at that; but just his true spirit of who he was. You could feel the warmth in his smile and know the peaceful and kind man he was. His wit, compassion and wisdom touched you when you spoke with him. He truly was an amazing soul and I am quite sure is doing very important things at the next level of his journey. I am typing this just before I start my 12 hour shift as a physical therapist and I think if I can emulate his compassion, understanding and kindness with all of my patients I am serving his example well. Take care all of you and find comfort in the love that only siblings can share. Much love and my thoughts are with all of you today – wish I could come in person. I knew Robert only as Uncle Bob. Oh how I lament the fact that I could have not had more visits with Uncle Bob over the years but I am thankful for the few that I did have in the last ten years or so. His laugh was infectious and he had a voice that made even the best radio personalities jealous. He loved to tell stories and had that special gift of making everyone feel important in some way. I especially will always remember our great drop-in visit to the Henkle Reunion in Estes Park in 2001(?) with the entire Henkle clan. Good times. To all of the extended Henkle Family, we send from Colorado our deepest sympathies and our prayers are with you. God Bless Uncle Bob. I too will be unable to attend services but will raise a glass to toast him, and the Henkle boys. They are his lasting legacy. My sympathy to the entire Henkle family. I worked for Doc Henkle for over 20 years. He was a great doctor and a great boss. He delivered all three of our sons and was our family doctor until he retired. He will be missed by many, many people. He is now with Marge to celebrate Christmas in Heaven! Our thoughts and prayers go out to Dr. Henkle’s family. What a great and generous person/Dr. He was our families physician before he retired and was the most caring person, made house calls and always followed up. What a great sense of humor and a wonderful human being. He will be sadly missed and has let an indelible mark in the community. Larry and June Caro family. A wonderful human being with children to match. He will be missed. Unfortunately, I won’t be able to make the service, but we’ll raise a toast to him in January. My thoughts are with the family, particularly my former college roommates. Dr. was an excellent neighbor, and we enjoyed his humor. I sang in the local Barbershop singing chapter with him, and he also sang in St. Mary’s church choir. Bob loved singing, and had a great sense of humor.. I’m sure he will be missed. Sending all my love and prayers to the Henkle family. Thank you for being my doctor and raising some great babysitters.